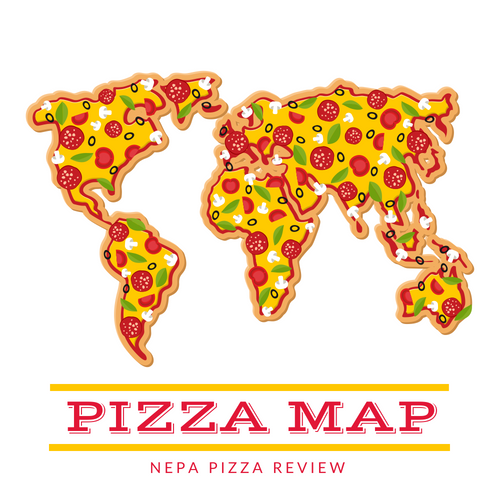 On the day of this exciting pizza excursion, I declared that I was going to add to my library of Old Forge Pizza reviews, so after I left work, I started dialing every pizzeria in the "Pizza Capital of the World" that I haven't yet reviewed. 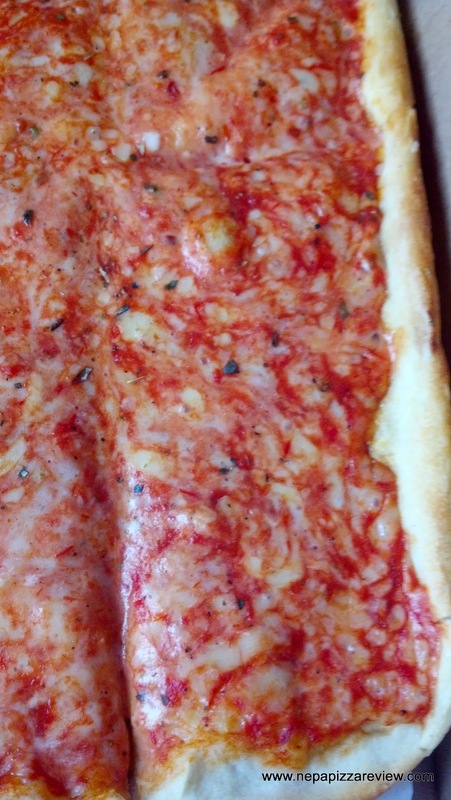 After all, if you want great Old Forge pizza, you might as well go direct to the source! After calling 4 different pizzerias and no one answered the phone during dinner time, I thought something must be up. After taking my question to my twitter followers, I quickly found out that the Old Forge Blue Devil baseball team was playing in a state playoff game and that might be the reason that the restaurants were not answering. If this is true, I thought that this speaks volumes to how tight of a community they have in Old Forge. If businesses are closing down to support their school athletic team, then that's really amazing and I respect forgoing profits to support the community's youth. Again, I don't know this to be the case, but it seems like a reasonable justification. If anyone knows this to be the case, please hit me up in the comments below! So after heaping praise on the Old Forge faithful, but failing to get in touch with an Old Forge Pizzeria, I did what any normal person would do - cross the border to Old Forge's biggest rival - Riverside, and ordered from Arcaro's in Taylor! (Actually that was not my motivation, but the reference seemed to fit here!) 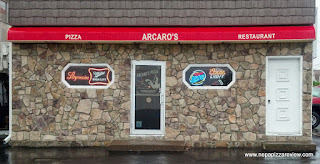 Several people have sent in emails to me recommending I try Arcaro's (not to be confused with Arcaro and Genell) so it was a good time to try it out since I was in the area. 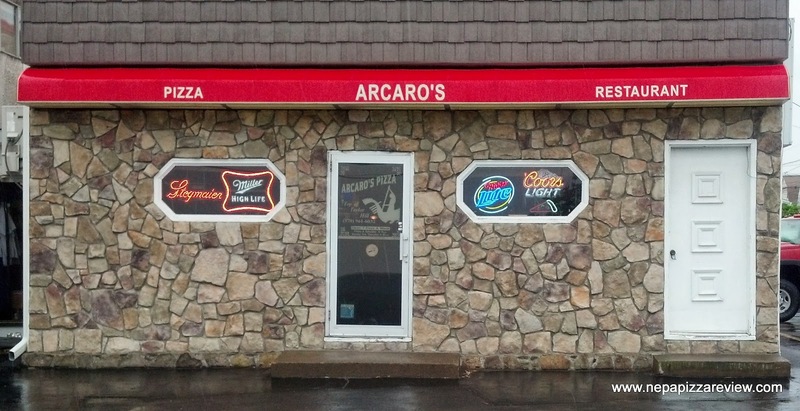 Arcaro's is conveniently located on Main Avenue just across from the huge Walmart Super Center. The place doesn't look all that big from the street, but once I got inside it was actually quite spacious. There was a full bar with plenty of seating and tables along with a pool table for entertainment. On the other side of the restaurant, there was a large dining room that looked quite casual and comfortable. The whole place just reminded me of somewhere you would take the kids for dinner after a little league game. Unfortunately, I ordered my pizza to go, so I was not going to get a chance to check out this cozy atmosphere. When I called in the order, I was told the pizza would take 20 minutes. I always show up at least 3-5 minutes before the allotted time so that I can get the pizza as fresh as possible. The pizza maker timed my arrival perfectly as they were just boxing it up as I walked in. When the friendly waitress brought out the pizza to me, steam bellowed from the openings in the box so I knew it was fresh and hot. As I paid for the pizza, which cost a total of $9.50 including tax, I noted that this was a fantastic deal. Since the going rate of an Old Forge pizza averages around $11.00 in the area, this is two bucks less than average so that was very noteworthy. Now, how did the pizza fare when I put it to the test you ask? Let's find out! I opened the box to find that the pizza cheese was quite red and dark. This was an unusual looking cheese/sauce combination because it appeared that the sauce and cheese were sort of mixed together so that the sauce was sort of on top, but then I looked closer and the cheese was on top. Baffled, but eager to try, I took my first bite of the pizza and found it to be quite pleasant. I immediately realized why so much sauce was poking through, because this pizza has a fairly light amount of cheese on it. 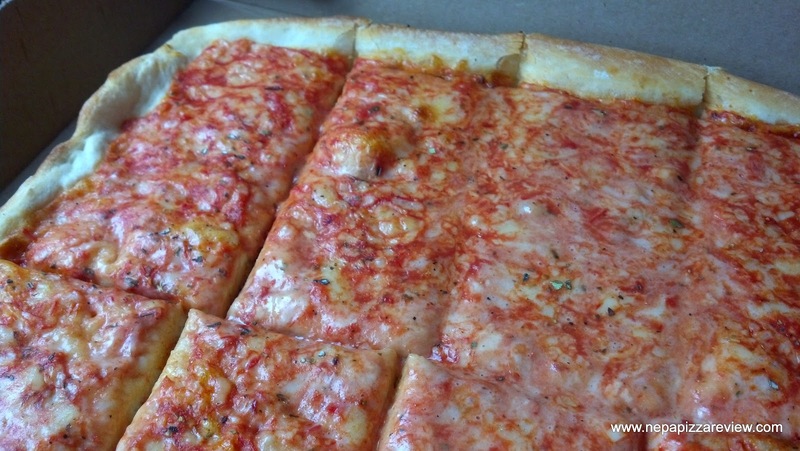 One person who recommended this pizza to me mentioned that extra cheese at Arcaro's is like ordering regular cheese elsewhere, so if you like cheese, I'd recommend doubling up. I didn't double up because I try the plain pizza so that my readers can consider customizing each pizza to their tastes. The crust was pretty thin compared to most other Old Forge crusts, but it was tender and delicious. It was not crispy at all, but I don't think this pie is crafted to be that way. 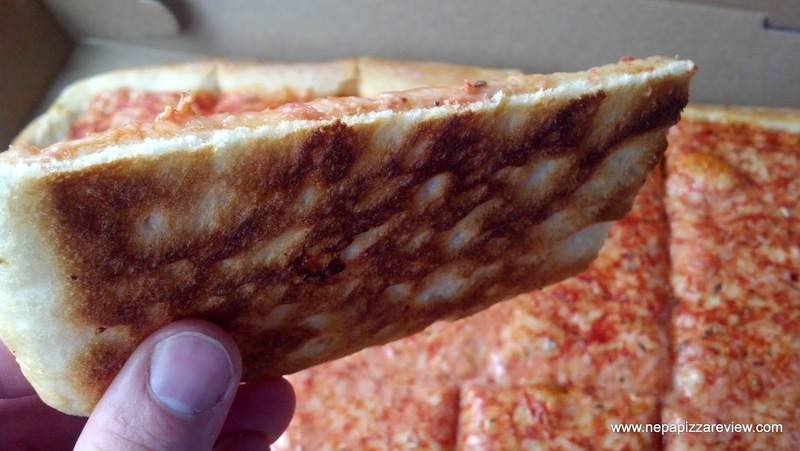 It worked well as a soft and delicate crust in my opinion. On top of the crust was a very tasty sauce with a smooth consistency, not much sweetness, nice balance, which was well seasoned but not overdone. The sauce really intermingled with the cheese, and almost gave the combination a consistency of a vodka sauce pizza. It was really unique, and I enjoyed it. Overall, I have to say I enjoyed this unique Old Forge pie. For the price, you can't beat it. Please consider how much cheese you like before ordering. 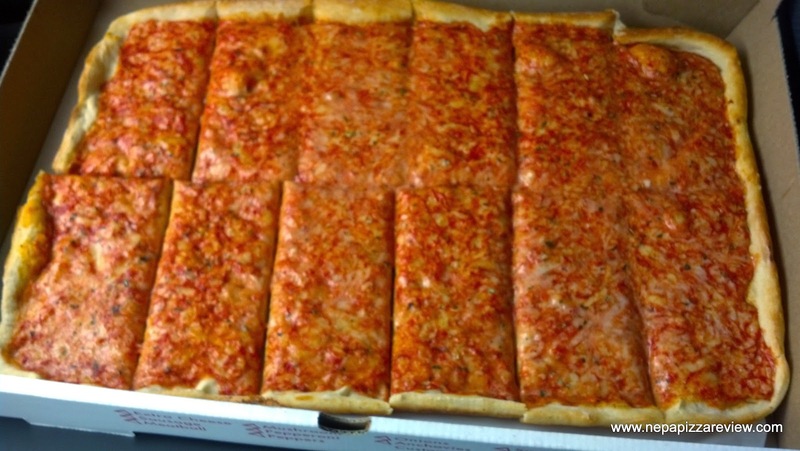 I also have to mention here that the "shrimp and pepper pizza" comes highly recommended by a small group of people who remind me frequently to try it. I have no idea if those toppings agree with my taste buds, but please let me know if you have ever tried this combination! In any case, I do recommend this pizza as it's a nice change of pace and a great value.